If you’re reading this, either you, or someone you know, is considering acupuncture as a treatment for back pain. Almost everyone will experience back pain at some point in their lives. It can range from mild to severe. It can be short term or long-lasting. The question many ask is ‘does acupuncture work for back pain’? The good news is that acupuncture can and does help back pain. Mavis P. from Queens, New York, had a bad auto accident in early February of 2013. Please read her heartfelt testimonial here on How Dr. Liang’s treatment changed her life. Back pain interferes with our work and routine daily activities. If it is not managed properly, it will definitely affect the quality of our lives. For some severe cases, it can even cause disability and permanent loss to perform our jobs. There are number of causes of back pain. To read about these, please visit our blog. Many of patients suffering from this type of pain have been prescribed pain killers (Oxycodone, Oxycontin and others). Even though these medications can be extremely effective short-term, some are highly addictive. There is currently a large segment of the population that were prescribed medications such as Oxycodone and/or Oxycontin for back injuries/pain and have become addicted to these. Oxycodone and other medications have their place and can be the only treatment for immediate relief from severe pain. However, we do not advocate these medications for long-term use. For most chronic conditions, these medications become less effective over time. Some patients will even undergo some unnecessary surgery and the result is not always promising. In this article, I will address the type of treatment I offer to reduce and remove pain as well as possibly completely cure pain. Acupuncture is a well-known and effective treatment for pain relief. Still, let’s be perfectly clear that acupuncture may not be able to help all people with all types of back pain. However, acupuncture may provide a far better solution than taking those highly addictive medications. Based upon an examination and the above, Dr. Liang will make a diagnosis in terms of Traditional Chinese Medicine (TCM). For example, if a patient walks into our office with an acute back sprain (on muscle or ligament or pinched nerve), the treatment may only involve acupuncture treatments and positive results can be achieved in as little as one or two sessions. If a patient walks in with chronic pain caused by a disc or degenerative disease, the treatment will not only focus on relieving the pain, but will also focus on how to prevent further damage to the spine structure and how to slow down or positively reverse the degenerative change. In this instance, the treatment will involve acupuncture treatments combined with Chinese herbs for this type of pain. 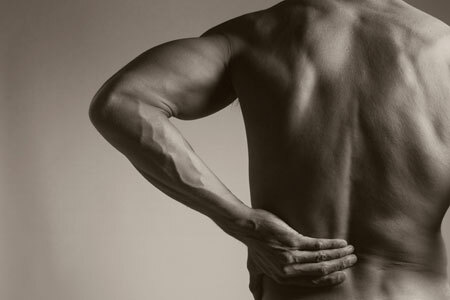 Patients that see us with back pain have typically already been treated for a fairly long period of time and not achieved very positive results with the treatments offered by their doctors. Still, these people are living with pain that they want removed and they are looking for alternative methods of resolving the pain. Some of these patients come to our office being very skeptical and even suspicious about whether acupuncture can effectively relieve their pain. Note: Dr. Liang is willing to share true testimonials with you from patients she has successfully treated for back pain. What Does Acupuncture Do To Reduce/Remove Pain? According to the acupuncture medical treatment guidelines of California, Colorado and Massachusetts, acupuncture can be used to reduce pain and inflammation, increase blood flow, increase range of motion, decrease the side effect of medication-induced nausea, promote relaxation in an anxious patient and reduce muscle spasm. Electro acupuncture is the use of electrical current on the acupuncture needles at the acupuncture site. It is used to enhance the effectiveness of the treatment by continuous stimulation on the acupoint. The physiological effect can include endorphin release from brain for pain relief, relaxation for muscle spasm, reduction for inflammation, and increased blood flow can help cells and tissues recovery quick. According to Traditional Chinese Medicine, a blockage or stagnation of energy and blood causes pain. Acupuncture stimulates the pain site. The insertion of the acupuncture needle in the trigger point can improve the Qi flow and blood flow in the area where pain exists. As a result, it will help to remove the blockage and stagnation from the pain site, allowing energy and blood to bring nutrients to repair the cells and tissues. There are specific acupuncture points in our body that can be used to relieve back pain effectively (e.g. points Bl60, Bl40 on the leg, 2 points on the hand close to wrist area). When a patient has degenerative spine and disc disease, the kidney, urinary bladder, stomach, and spleen meridians are a must for treatment. Dr. Liang recommends some Chinese herbs for those patients with degenerative disease. It always works for them. When treating painful conditions, Dr. Liang prefers to use electro acupuncture and trigger point acupuncture. When she inserts her acupuncture needles into the painful areas of a patient’s body, it is absolutely essential that the patient must feel the needle reach the most painful spot. She calls this the “Oh, yes” spot. Only when this is done will acupuncture have maximum effectiveness as this will stimulate the brain and release Endorphins which function as natural pain killers and tranquilizer for us. Once you tell Dr. Liang that she has reached the “Oh, yes” spot, she will hook the wires from the electro stimulation device to the acupuncture needles and produce different levels of electro current to the needles. Patients will feel the vibration from the electrical current (no pain) and enjoy the deep massage feeling. Almost all patients fall asleep during the treatment session. After the treatment, 85% of patients will experience immediate pain release, 25% of patients will feel some soreness on the pain site. After one to three hours, they will feel relief from pain. Patients are amazed by how effective Dr. Liang’s treatments are. Note: Possibly the number one reason for people not seeing an acupuncturist is a fear of the needles that an acupuncturist uses. Acupuncture needles inserted into most parts of our bodies do NOT hurt! And if you are scared of seeing the needles being inserted, you can close your eyes. You will find that after the treatment, you feel so good, that you will look forward to your next treatment. To learn more about acupuncture treatments, please read our FAQ Section. Once again, keep in mind that the recovery periods for a lower back sprain vs. chronic pain is different. A sprain can be healed in just one or two sessions whereas in the case of chronic pain, it will take longer time to recover. If you have suffered from chronic back pain, especially the one caused by disc disease and degenerative lumbar spinal disease, Dr. Liang asks that people remain patient during the course of the treatment regardless of how well you start to feel. Dr. Liang explains that due to the nature of this disease, it will require longer periods of time to recover. You should be willing to commit to a twice a week treatment for the first 3 to 4 weeks. Then treatments will only be once per week for 8 to 10 weeks to complete the treatment. Most of Dr. Liang’s patients feel better very quickly due to her unique techniques. But they continue to receive treatments until the full course of treatment is completed. Dr. Liang’s patients believe in her knowledge and expertise and place their trust in her. Do Insurance Companies Cover Acupuncture Treatments for Back Pain? Yes, many insurance companies including Blue Cross Blue Shield, Cigna, Aetna, United Healthcare, and Magnacare do cover these treatments. Other insurance companies are also starting to cover acupuncture treatments as well. Even though we would be happy to contact your insurance company to see if they will cover our acupuncture treatments, we would recommend that you contact your insurance company BEFORE visiting us and asking them if our treatments will be covered. In the event that your insurance does not cover our treatments, you may find that just 1-2 treatments brings such great pain relief, that paying our very reasonable fees out of pocket may be well worth your while. Acupuncture for back pain is a viable treatment that works. Please make an appointment by clicking here or call us at (212) 779-0468.